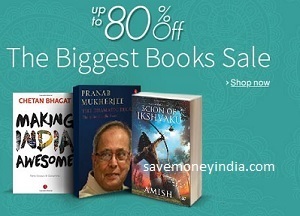 Amazon is offering upto 90% off on eBooks. 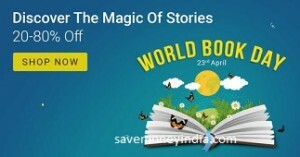 FlipKart is offering upto 70% off on Books. • Shop for Rs. 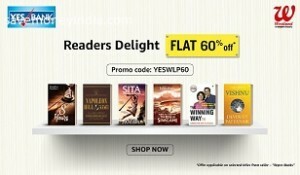 600 or more from Amazon Best read list with cashless order & get 10% back. Maximum cashback Rs. 300. • The Benefit in the form of Gift Card will be credited in the Purchaser’s Amazon account within 3 days of the Order being shipped to the Purchaser. 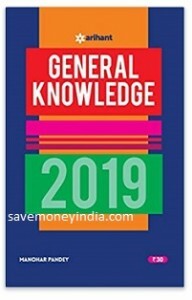 Features Covered in 5 chapters, one for each discipline, the book is a reliable and recommended source of information for anyone appearing in the forthcoming competitive exams. Unwind with a good Book. 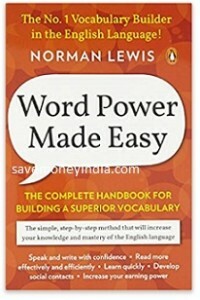 Features The complete handbook for building a superior vocabulary. 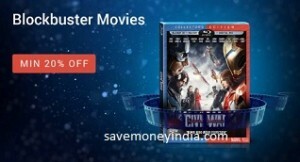 FlipKart is offering minimum 30% off on Music, Movies & TV Shows. • Prime Members can choose 1 eBook every month for FREE. 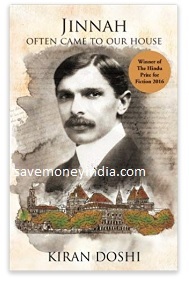 • Every month, all customers can get Kindle books selected by our editors for Rs. 49 each. 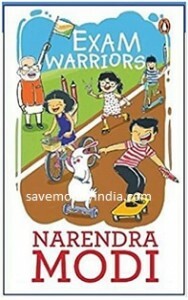 • Prime Members can also purchase physical books for Rs. 129 or less. The discount is applied automatically at checkout. 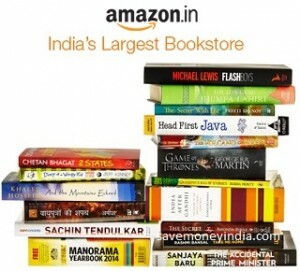 Physical books must be purchased from ‘Cloudtail India’ as a seller. 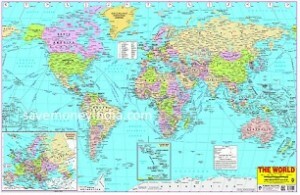 Features extensive information about each country and their states. As an active Amazon Prime Member, you are entitled to access or download eligible e-books made available under Prime Reading, subject to a limit of 10 books at any given point of time. Amazon has the sole right to determine the eligibility of the books included in Prime Reading. You will not be charged incremental fees for using the Prime Reading benefit from Amazon. Rs. 327 off: For Prime Members. Automatic discount in step Place Order. Discover the magic of stories. 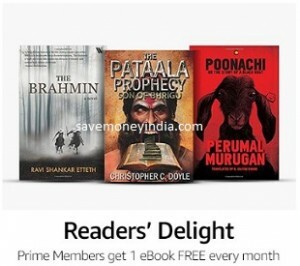 • The offer is applicable on purchases made using only Amazon Pay balance during the offer period on all kindle eBooks. 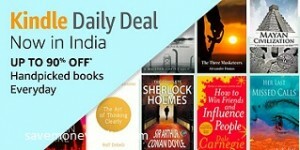 • The offer is applicable on the purchase of only Kindle ebooks, 50% cashback for up to Rs. 50 cashback per customer. • The customer will receive the cashback in the form of Amazon Pay balance, which will be added to the Amazon account within 3 days from end of promotion. • Offer Duration: 12th Mar to 25th Mar, 2018. 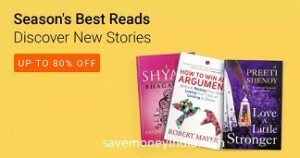 • The offer is applicable on purchases made using only Amazon Pay balance on the select Kindle eBooks listed under the Kindle Daily Deals – Super Friday offer for Rs. 23. • Customers will get 100% back on eBook purchases made with only Amazon Pay balance, from the Kindle Daily Deals – Super Friday offer selection for Rs. 23. • The customer will receive the cashback in the form of Amazon Pay balance, which will be added to the Amazon account within 3 working days from end of promotion. Features handbook that lists 25 mantras to aid students to deal with the stress of scoring good marks in exams. 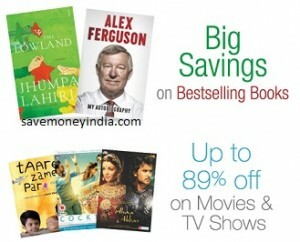 FlipKart is offering minimum 70% off on Books. 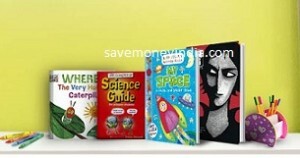 Amazon is offering 50% off or more on Children’s & Young Adult Books. 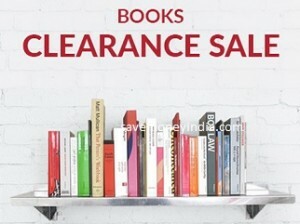 Offer applicable on selected titles form seller – Repro Books-on-Demand. 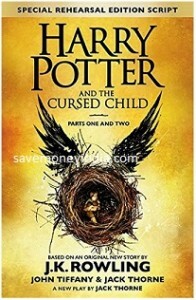 Features Based on an original new story by J.K. Rowling, Jack Thorne and John Tiffany, a new play by Jack Thorne, Harry Potter and the Cursed Child is the eighth story in the Harry Potter series and the first official Harry Potter story to be presented on stage.